Do you fancy having more of a say in the services that you buy? In that case, perhaps a company that allows you to own part of it would suit you? Companies that follow this model are called 'co-operatives' and they exist in many markets. For the many people in the United Kingdom who wish to buy ethically there are choices in many areas of life. But telephone and Internet services were areas where there were no ethical alternatives and that's until Vivian Woodell, the CEO of The Phone Co-op, started the company to provide those alternatives. The Phone Co-op operates in a sector known as the third sector, which covers the various organisations that do not fit into either the public or private sectors. Many of the businesses in the third sector are not-for-profit organisations such as voluntary groups and charities or profit-making companies with different ownership schemes, such as co-operatives. Although they are therefore widely diverse as a group, they tend to share common values and principles that are different to those of many public sector organisations and probably all private sector ones. At this point it is necessary to make a distinction between the Co-op as in the chain of supermarkets and The Phone Co-op. Apart from them both being co-ops there is no link whatsoever between them. The Phone Co-op was started in 1998 as the Social Economy Telecommunications Co-operative (or SETCO for short) and converted to a Society a year later, renaming to The Phone Co-op at the same time. The company has since grown in a controlled way, something that the co-operative structure promotes, so there is less risk of the company overstretching itself. Tight control on costs has also helped to make it consistently profitable since it's inception. 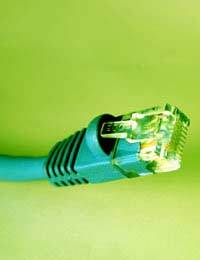 The Phone Co-op offers telephone calls and line rental, mobile phone services and dial-up and broadband Internet services. They supply both consumers and business premises and many other third sector businesses have been able to stay true to their values and principals by being able to select a co-operative phone supplier. So why should a consumer pick The Phone Co-op over one of the many other companies competing for their custom? One element is that the price plans are simple and don’t change a great deal. The company realises that this means that they are often not the cheapest on offer although, like all other phone service providers, they ensure that they offer a significant price advantage over BT. But The Phone Co-op knows that a company who entices customers in with cheap deals will inevitably put the prices up once the introductory period is over and that the only way that consumers can get the cheapest prices all the time is to continually switch providers. The Phone Co-op aims to keep things simple and keep prices down with close cost control. There is also the knowledge that The Phone Co-op does its best to operate as ecologically as possible, using the greenest suppliers, offsetting its carbon emissions and using customer service teams based in the UK. Profits are distributed among those customers who choose to become members of the Society and also given out as grants to other co-operatives to help them either start their business or develop it. So customers of The Phone Co-op know that as well as getting a good deal their money is being spent as wisely and beneficially as possible. Have been both customer and member of Phone Co-Op for at least five years. We tolerated no broadband at home for 6 months, because they kept telling us their tests showed fault was inside house, they didn't advise engineers visit because of this. At our wits end, we insisted engineer call out, when damage found to phone line outside building, instant fix. No apology or acceptance of blame for dreadful advice. We told them we left house in August, phone and broadband disconnected. Bills kept coming till following Feb and they withdrew £41.91 from our Members Share Account (without telling us) they claim was owed as part of unpaid phone bills. Please explain what is ethical about that behaviour. What rights did we have as members to protect ourselves?